Presented by James Patterson's new children's imprint, this deliciously creepy horror novel has a storyline inspired by the Ripper murders and an unexpected, blood-chilling conclusion. The story's shocking twists and turns will make this dazzling debut from author Kerri Maniscalco impossible to forget. Gripping story, with a powerful message, outstandingly told and beautifully narrated. I couldn't stop listening! I wanted to like it, but whiney teenage romance ruined the plot. The main character was a grown man's fantasy of a teen girl. It was so disturbing I didn't make it past the 2nd chapter. This is written for young women, in their early teens. If you are not of that demographic, you may not find this novel engaging enough to finish. The narator, Nicola Barber is excellent though, and is a bright spot in this audible book. Why does everyone love this so much? I will admit the actual plot pf this fantastic, it flowed really well and was a quick read. Now getting onto Audrey Rose. I am so tired of every ya book being "firey headstrong to the point of being illogical" female character falling wayyy to fast for a "hot arrogant jerk". I was super excited because I had heard she was really girly and liked pretty dresses, I thought it could be interesting. That being said this book did not hold up, if a female character is super girl how are you having her aunt scold her for dressing like a tomboy. Also having a character who is interested in basically being a medical examiner amd yet is almost squeamish and so sensitive about death came off as a joke. It especially came off as a joke when a boy taught her to look past this. If that's going to be character development why can't someone other than a love interest help her? That is so overdone. I appreciate that it must be difficult to write a novel with an unguessable mystery. However, it was really obvious to me who Jack the Ripper was. It was obvious very early on (I'm talking no more than an hour in), and I kept hoping that I was way off because it was so obvious, but I was correct. That being said, mysteries, like horror, are extremely subjective, and what is obvious to me may not be so to another reader. It just seemed to me that all the red herrings were obvious red herrings, and I was very aware of the author trying to obscure her twist. I was very aware of the author throughout the book in other ways, as well. This book is set in the late 19th century, and it is clear that the author has done her research, and is eager to share it. But she may be a little too eager. There are several instances where she'll put a piece of historical trivia into a character's mouth instead of just showing it to the reader through setting and world building. For an example, one character might say something like, "Audrey Rose, it's inappropriate to address a man by his Christian name unless you are engaged." This is clunky and stilted--chances are, everyone already knows that, because they're steeped in the rules and traditions of their day. A more realistic reaction would just be to gasp, or look scandalized. One of the age old rules for dialogue is to never write dialogue that is solely meant to give the reader information. Another example of this is Audrey Rose's brother's awkward insistence on inserting 'sister' into every sentence he utters to her. I also really can't stand the weird and cumbersome name, 'Audrey Rose,' but that's just me being picky. Audrey Rose is your typical fiery, headstrong female protagonist who is so stubborn she gets herself into ridiculous situations and regularly refuses to see reason. Yawn. What makes it even worse is that Kerri Maniscalco is determined that we should know that Audrey Rose is a feminist character. Just about every thought she has is tied to the restraints of society because she's a woman, and how everyone underestimates her because she's a woman, and how she can be a strong woman and still like lace. As a writer, you should try not to make the message of your work something the reader already knows. The message we're being beat with here is, sexism is bad. We already know that. And as strong and independent as Audrey Rose is supposed to be, approximately 60% of her character revolves around hating/loving the arrogant genius, Thomas. There is angst, there are hormones, there is instalove. I would love it if we could start writing YA heroines who aren't madly in love with jerks, or--gasp--maybe don't even have a love interest at all. The characters, especially for the first half, are often cartoonish, their actions and their words exaggerated nearly to the point of ridiculousness, and character development in general leaves a lot to be desired. Theories about Jack the Ripper's motives are very Psych 101--I may have been willing to forgive the fact that their analysis is Freudian though Freud's theories on psychoanalysis were not widely known in 1888, if it weren't for everything else. Historical liberties are ok, but poor setting, poor character development, awful YA tropes, and a weak twist are not. I confess that I read this just to get to Stalking Prince Dracula, the higher-rated next book in the series. Let's hope things improve. 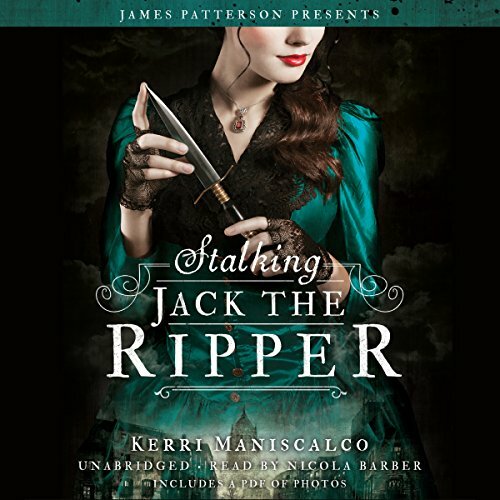 Where does Stalking Jack the Ripper rank among all the audiobooks you’ve listened to so far? In the top 10! 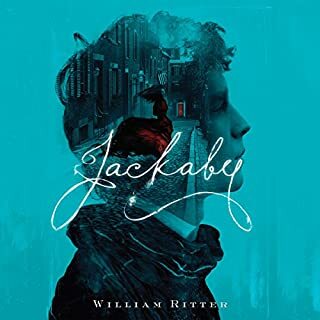 The dialogue is amazing and the addition of James Patterson's expertise clearly shows and if you are knowledgeable of the Jack the Ripper story you will find many easter eggs here. The performance was amazing, it made the story so much more enthralling. The accents were impeccable and added so much flavor! I was intrigued by the summary and I personally love reading about the Victorian era. However, I was underwhelmed by this book. The story and pacing was good but I found Audrey-Rose to be obnoxious at times. The way she would keep reinforcing that she was smart and capable was beating a dead horse. I can take it a couple time but it was every couple of minutes! The narrator was great and probably what saved the story. listened to this while on a road trip it was gripping and kept me on the edge of my car seat. 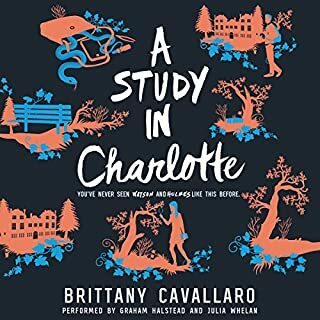 I listened to this with my 13 year old daughter who loves mystery and suspense. It was perfect! The story was so thrilling and entertaining and didn't need to rely on bass language and gratuitous sexual scenes. We lived it! 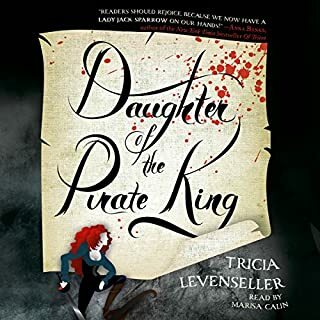 I'm not the intended target market for this story, however, YA fiction is one of my guilty pleasures if I can find those little gems which aren't overly throbbing with angsty hormones and ruining (for me) what otherwise could have been an enjoyable tale. This take on the 'Ripper' mystery we've all heard details of is nothing new and quite obvious from early on and I don't usually tend to mind grammatical inconsistencies but I find some of the very modern language used here to be one more reason to not love this book. The cast of characters were flat but some of them, especially the young apprentice Dr. Thomas and the almost just as young chief of police, to have a spark of something about them that might be potental to be great characters if developed. I've read worse but I wasn't excited by this and wish I'd used my credit elsewhere. enjoyed it overall, but struggled to like Audrey as time went by and the plot because incredibly predictable. 9+ hours gone in the blink of an eye. Nicola Barber has a wonderful tone in retelling the story. plenty of pace, plenty of drama. I shall be downloading books 2&3 to continue the adventures of Miss Audrey Rose. 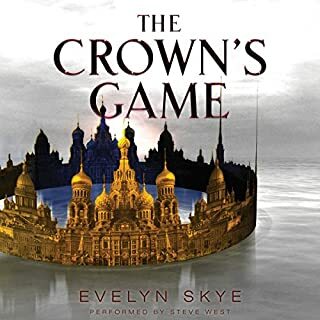 Brilliant narration, It was immediately gripping, and I was hooked throughout the entire story. 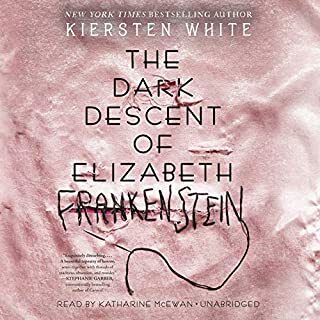 Nicola Barber did a fantastic job with the narration, and it is one of the best audio books I've listened to, I would definately recommend it. The story was thrilling and very enjoyable. It could be somewhat gory in places and within the first 5 minutes I wondered if I might be a bit too squeamish for it! The descriptions were vivid and at one point I swear I could actually smell the dead bodies. I wouldn't suggest reading/listening while eating noodles or tomato soup! It added to the atmosphere though and built up a brilliant, enticing plot which held my attention and intrigue. Well worth checking out this book especially if you enjoy thrillers, mysteries and horror genres. Brilliant book loved the story and the twists were great, also loved the narrator s accent perfectly suited the book. I love a good twisted tale / retelling. This was well thought out & a fun, puzzling Jack the Ripper story with a Sherlock Holmes feel & more science than I thought I’d like, but it was done well! I really liked the gothic feel of this book and some of the scenes were wonderfully creepy. 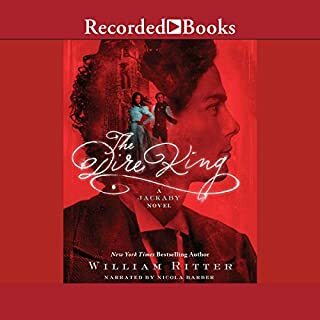 The overall plot was entertaining and engaging, and the audiobook narrator did a great job of building atmosphere and anticipation. So much so that I was just lying in bed listening to the audiobook, which I never do. However I was a little disappointed by the mystery aspect, I had figured out who Jack the Ripper was from about half-way through. I was a bit hit or miss with the characters as well. I really liked the spunkiness of Audrey and I liked her brother. However, I could never decide whether or not I liked Thomas, the love interest. At times I thought he was nice and charming but at other times he could be pretty insufferable. Overall a very entertaining and fast paced book but I just wish the mystery was a little more surprising.